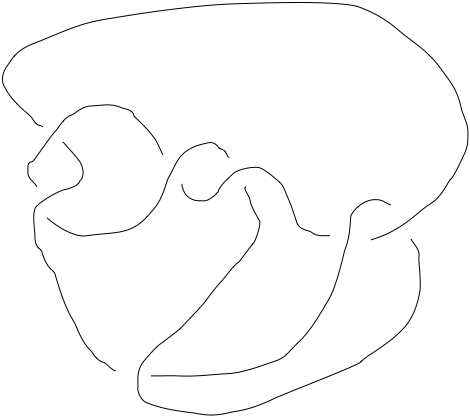 Put a ">(space)" in front of each new line to create the box (even on empty lines and in front of images). You can type mathematics inline, $f(x)=\sin x$, but not in equation mode. 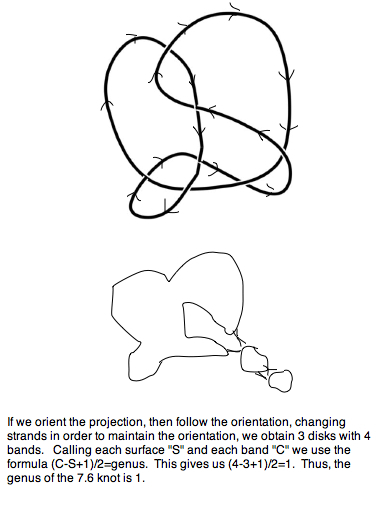 To determine that this knot is alternating, we start at any cross, under or over, and trace the projection, making certain that the crossings alternate between over and under. 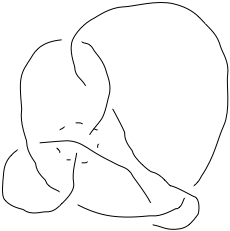 This knot does just that. 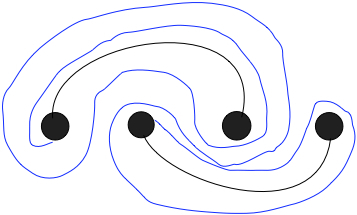 Therefore, the 7.6 knot is alternating. 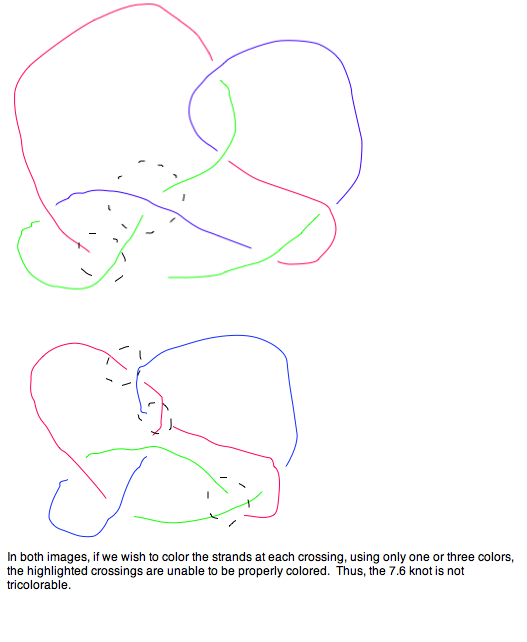 Since the 76knot is an alternating knot of less than 15 crossings with an odd number of crossings, it is not amphicheiral. 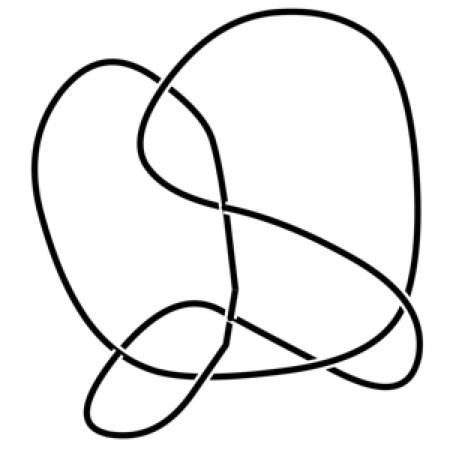 The two black strands are the maximum overstrands of the knot. 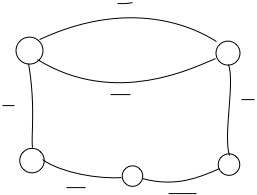 Since there are two, the bridge number must be equal or less than two. 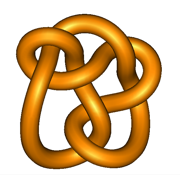 If the bridge number was one, then the knot would be the unknot. 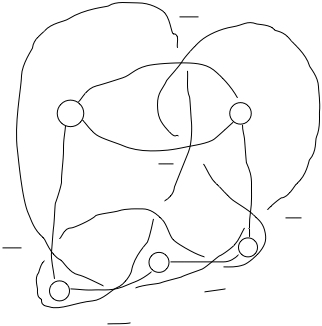 Since it is not the unknot, the 2 must be the bridge number. 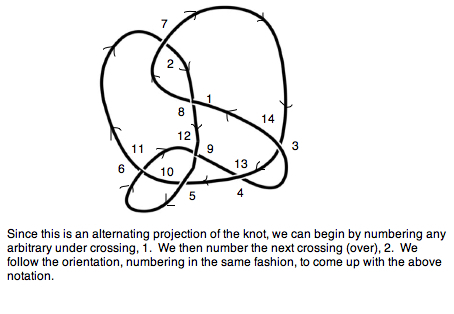 Since the 76 knot is alternating and reduced, the smallest number of crossings possible is 7. Thus, the crossing number is 7.